← Are mountain hares REALLY thriving? Osprey and chicks. Photo courtesy of Laurie Campbell. Despite being retired I have had two contacts regarding the Strathallan (T in the Park) ospreys over the Easter weekend. One contact was by email; the other by telephone. Firstly this is an extremely difficult situation. T in the Park brings considerable revenue to Scotland and in particular to Perthshire. With concerns this year with conservation issues and worries about the minor roads in the area not being able to cope, TITP may well decide to move out of Perthshire, which would be a disaster. Having said that, the law applies to everyone and, according to news reports, TITP do not appear to have made a very good job of the nesting osprey issue. The easiest solution may have been to remove the nest early on, but reports are that the owners were thwarted in this by their neighbours, on whose ground the tree is situated. The question now is are TITP and their ornithologists committing an offence by trying to keep the bird off the nest to encourage it to go to an artificial nest on a quieter part of the estate? Protection of wild birds, their nests and eggs. If we look at S.1(bb) those acting for TITP appear to be obstructing or preventing a wild bird from using a nest. A photograph in today’s Courier shows a cherry picker raised near to the nest tree. Two men are on the cherry picker, at least one of whom is masked. (Recent photos of masked people include terrorists, hunt saboteurs and a number of people who were shooting at a goshawk nest. Naturally this makes identification of an offender more difficult). There seems little doubt that they are there to keep ospreys away from the nest, so it is likely that the term ‘intentionally or recklessly’ would be met. However if the birds do not come near to the nest can it be proved that that are ‘disturbed?’ There may also be difficulty in proving that the nest belongs to the particular osprey trying to access it (to satisfy the wording ‘it’s’ nest). Look no further than Loch of the Lowes this year when a new female has claimed the nest occupied for years by Lady. Up to this point if it cannot be proved that the ospreys involved at Strathallan were the ones that used the nest last year then there would, in my view, be no offence. Whoever the expert is advising TITP, or anyone who has monitored these birds, may of course be able to state categorically that the bird this year is the same as last year. I don’t think it would matter whether it was the male or the female as they both ‘own’ the nest. This is where the police, to be satisfied that an offence is taking – or has taken – place, or to get a case to court, often rely on experts. 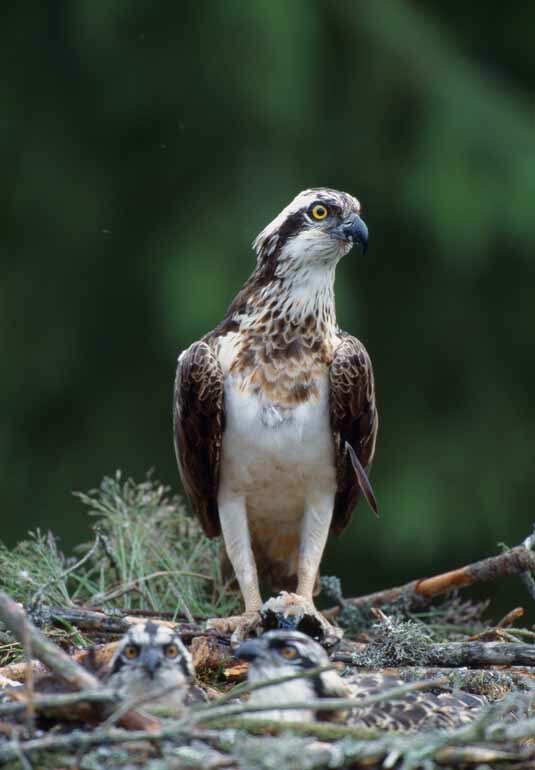 The osprey is a bird included on Schedule 1 of the Wildlife and Countryside Act, but until it starts refurbishing a previous nest or building a new nest S.5(a) does not apply. The telephone call to me on Easter Monday suggested that the evidence available had increased. The allegation was that an osprey had been filmed landing on the nest with nest material. If indeed this is the case then it could be argued that the osprey has laid claim to the nest and that the two subsections highlighted now apply. Depending on what the footage shows an offence may be complete, but further efforts to keep the birds from the nest would now certainly constitute an offence. The Courier newspaper report indicates that Police Scotland are in possession of the video clip, the matter is under enquiry and the police are receiving assistance from RSPB Scotland and ornithologists. This entry was posted in Uncategorized and tagged intentionally or recklessly, Loch of the Lowes, obstructing or preventing a wild bird from using its nest, ospreys, Strathallan Estate, T in the Park, TITP, Wildlife and Countryside Act. Bookmark the permalink.